(Nanowerk News) Riverbanks and oceans are full of plastic; there are bits of this material in the organism of a large number of fish, etc. Packaging and wrappers made from petroleum by-products are seriously damaging the environment. The search for less harmful materials has driven many pieces of research; among them that of Itsaso Leceta. This researcher has shown in her work entitled Quality attributes of map packaged ready-to-eat baby carrots by using chitosan-based coatings, that chitosan films are effective in preserving some of the properties of carrots as well as in preserving them longer ("Quality attributes of map packaged ready-to-eat baby carrots following application of chitosan-based coatings"). What is more, chitosan films are less harmful for the environment than those made of plastic in various impact categories. 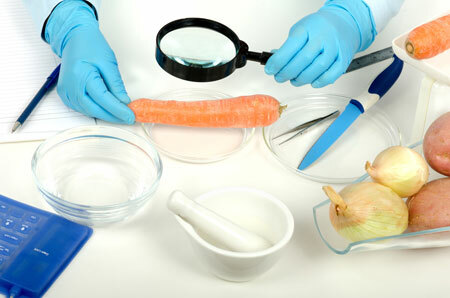 The chitosan film maintains the properties of the carrots. Food items are covered with plastic films to make them last longer and protect them from microbes. The environment, however, is seriously affected by the use of this material. The plastic bottles and films present everywhere in our civilisation take between 100 and 400 years to degrade. So the quest for alternative materials to plastics produced from petroleum is an environmental priority. Various products and substances are used to manufacture these materials: cellulose, potatoes, etc. ; and in this case, chitosan. “Chitosan is made out of the shells of prawns, king prawns and other crustaceans. The environment benefits from the use of this waste material and, what is more, the resulting product, chitosan, is biodegradable,” said Leceta. “Chitosan also has antimicrobial properties, so it is highly suited to the food industry, as it reduces the microbial load -in this case- of carrots. That is why their properties have been preserved better“, added the researcher. Which is better: the devil or the deep blue sea? Although the results of laboratory tests have been satisfactory, the massive industrial use of chitosan for packaging food is a distant goal. “We have to go on conducting research. Just as with renewable energies, it is better to have various options –to produce a mix- rather than just to have only one. You have to work with different polymers, to reduce the use of petroleum-based materials as much as possible,” said Leceta. In any case, she rates the work done positively: “If we take into consideration the whole life cycle, in many environmental categories our material is better than that which is manufactured using petroleum by-products. The key is the environment, and that has been the cornerstone of my thesis. If we don’t manage to manufacture a material that is better from the environmental perspective, there will be no point in our work”. But not all that glitters is gold, and this is what Leceta too believes: “Chitosan film is better than plastic film in terms of the environmental impact, in a range of categories, but that does not mean it does not pollute. The manufacturing of chitosan, unlike the production of conventional plastics, has yet to be optimised. Once it has been optimised, the environmental impact of chitosan will be reduced even further”. In short, every option has its downside, so the one that causes the least damage has to be chosen: “There is a saying about what is ‘better’, the devil or the deep blue sea. Well, we, too, often have to opt for the lesser evil," said the researcher.